On the 16th of July, after a difficult few weeks of exams and revision, we were all looking forward to an exciting trip, walking a section of the Carros de foc (or Chariots of Fire) which is part of the Aigüestortes mountain range, white water rafting and canyoning, abseiling down the many water falls. 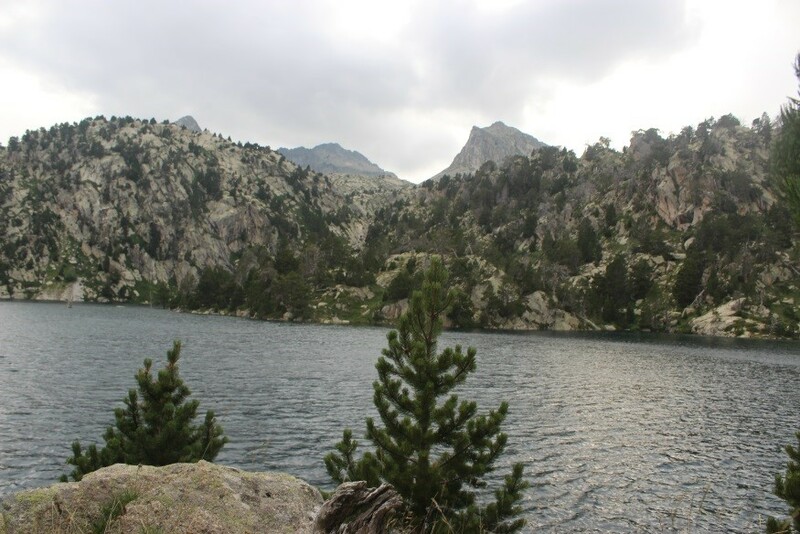 The Carros De Foc route is a high mountain circular route connecting 9 mountain refuges with an average altitude of 2,400m above sea level. Our expedition took in 6 of the refuges in all with the rest of the nights spent at our base camp just outside the village of Espot. Before and after the expedition itself, however, we traveled up and down the valley with the rest of the pupils on the trip, including the other DofE group, pursuing Adventure Training activities. 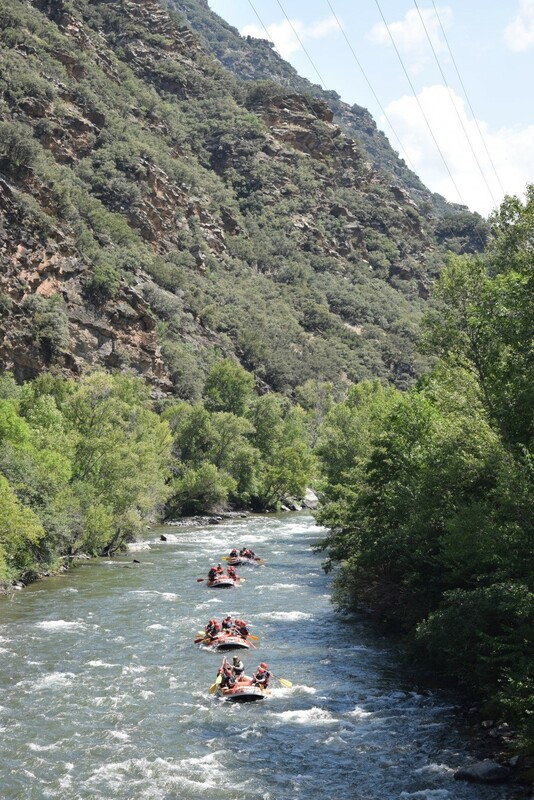 White water rafting down the Noguera Pallaresa river developed teamwork and camaraderie as crews had to work together to avoid (or collide safely with) huge jutting rocks among turbulent waters. Laughs, screams, and large unintentional mouthfuls of freezing mountain water were had by all involved. 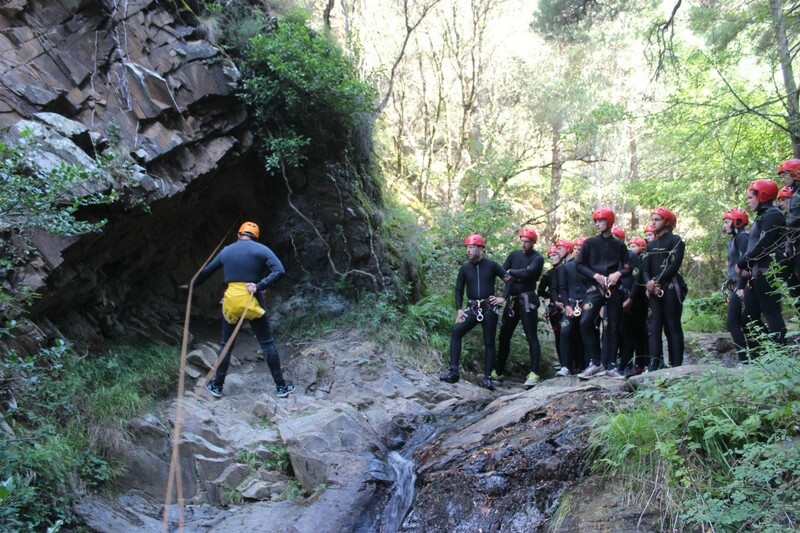 Most of the trip participants also took part in the canyoning activity, down the Berrós Ravine. After overcoming initial trepidation, we all enjoyed slipping down mossy boulders, sliding down natural flumes of water and abseiling into deceivingly deep pools. On the morning of the main expedition dawned dark and stormy. Ominous clouds and the regular crack of thunder replaced the sun and clear skies of the previous days. Trekking took place through relentless rain which soaked most through to the skin. After a 500 metre climb up rocky paths enjoying new lease of life as muddy streams, three hours, which seemed far longer, and a sodden lunch, the clouds cleared, revealing the titanic mountains which would be our home for the next five days. Each new day had varying weather, and invariably involved staggering climbs, breath taking views, and nerve-racking descents. The nights were spent in remote mountain refuges with large communal dormitories, sleeping from 14 to 70 people in each room. 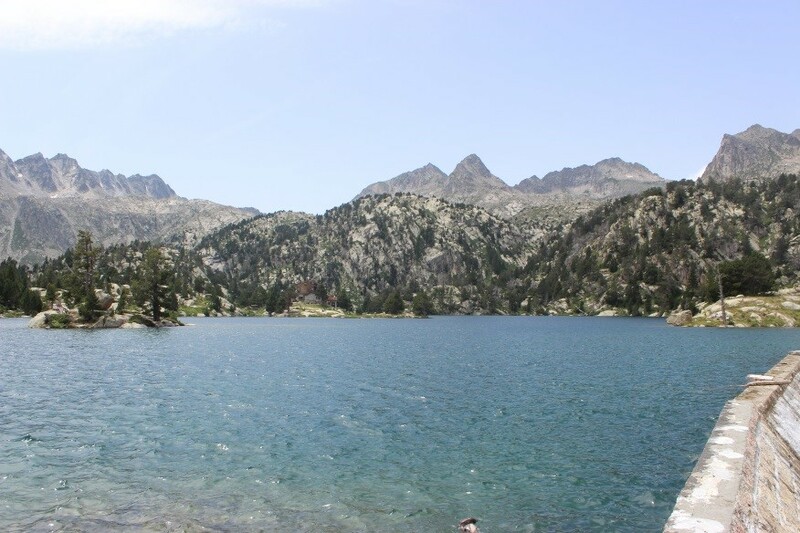 The heat of so many people crammed together was counteracted by swims in the ice-cold, picturesque mountain lakes. 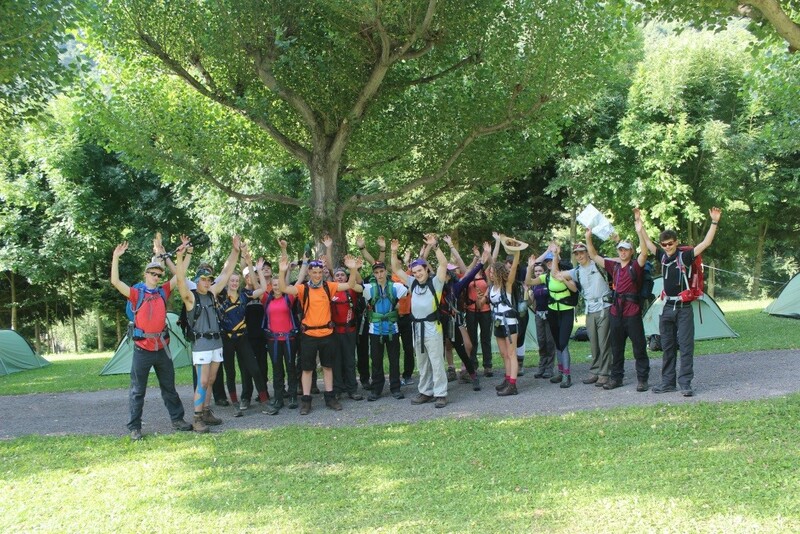 Perhaps the group’s favourite day involved a relentless 1200 metre ascent to Collet de Contraix. Climbing through low-hanging clouds, we had to traverse a major boulder field, helping one another from rock to rock. Reaching high enough to meet patches of snow, the boulders gave way to scree, which tested the nerve of the team as the slope steeped to a saddle point at 2749 metres. At this height the effect of altitude was apparent, leaving us breathless in the face of an unforgettable view down the valley, patch worked with streams and glittering lakes. 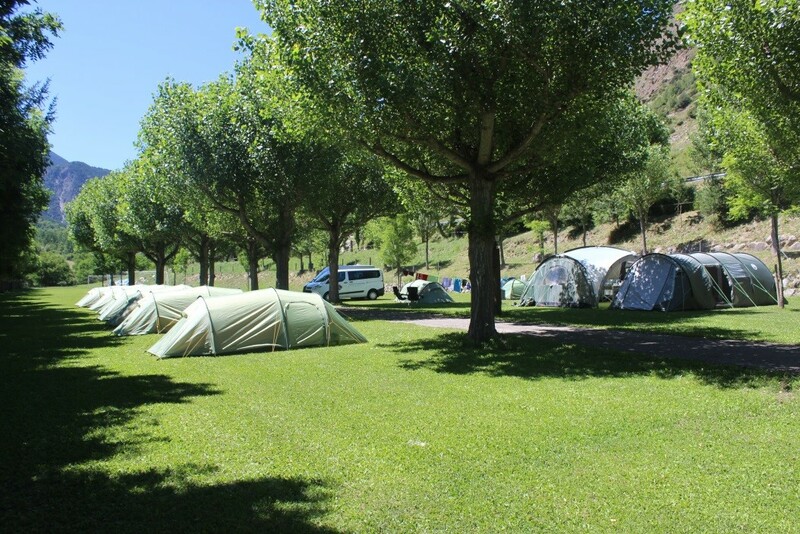 The Duke of Edinburgh Expedition requires teams to carry out an aim of their choosing. As we were a group of CCF Cadets that had been issued with military ration packs the night before the expedition we decided to try and review the different meals, snacks, and drinks with which we were supplied. Throughout the trip we took notes, tested a variety of food in different ways, and wrote criticisms. At the end of the trip we presented these reviews to the rest of the trip. We would like to take this opportunity to thank the school staff that gave up their holidays to take us on this most amazing, once in a lifetime trip. We would also like to thank The Ulysses Trust and the Clive and Sylvia Richards Charity www.csrcharity.com who both donated very generously to make this expedition possible for us all.